Get a FREE header when you sign up now! 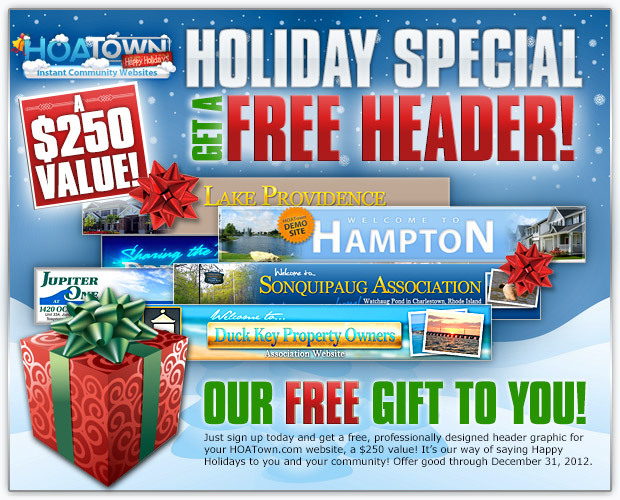 Just sign up today and get a free, professionally designed header graphic for your HOATown.com website. It’s our way of saying Happy Holidays to you and your community! Offer good through December 31, 2012. Signing up with HOATown is easy and secure.